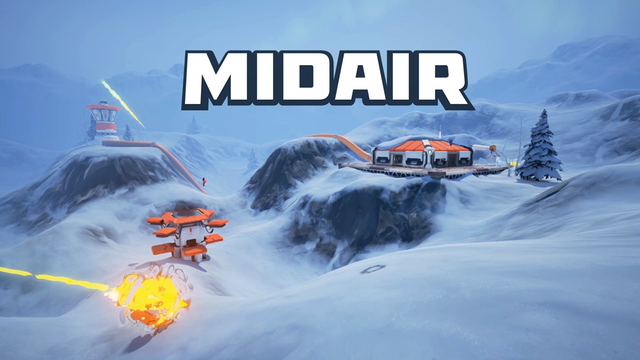 Midair is now free to play! You can download it now from steam using this link or by searching for Midair in your steam client on the store tab. The free to play option has a progression system, or you can choose to bypass the progression system and buy the Manaborne Game Pass which is currently on sale for $19.99, the normal price is 24.99. Those that backed it during the kickstarter, or have bought the game during the alpha, beta, and early access periods already own the game pass and will be able to bypass the progression system entirely. Posted in Midair, Team News	| Comments Off on Midair Night? If you backed on Kickstarter at the closed beta level you should already have received a key by email to redeem on steam. Posted in Midair, Team News	| Comments Off on Midair enters Early Access! Keep in mind with DNS records they can take time to go into effect, also DNS caching can cause issues as well, if you are unable to connect using the dynamic address please use the following alternate ways to connect. Permissions will need to be reassigned as I am unable to add your unique IDs to the groups until you have connected to the new server atleast one time. Please start using the new Teamspeak effective immediately as the old TS goes down for good this coming friday. Midair has successfully raised $128,416 USD with 1,354 backers! The video below shows off some pre-alpha gameplay, the music in this video contains some cursing, I would recommend muting it if you don’t have a headset or have kids in the room, or are at work. Posted in Midair, Project Z, Team News, Tribes	| Comments Off on Midair Kickstarter Successful!